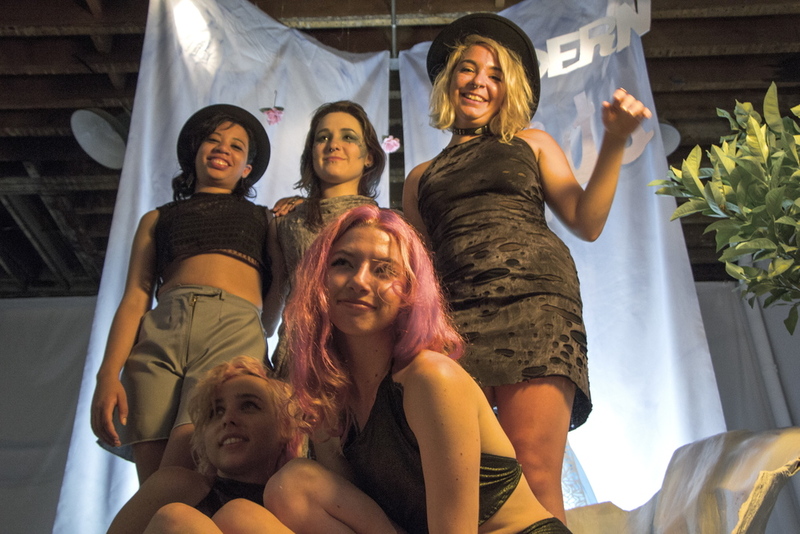 MERMAID MIXER was the third Pop-up shop curated by Modern Misfits in June of 2014. Inspired greatly by Rodarte's 2014 collection and the collective love of mermaids, the misfits set out to create an aura of great female strength and beauty! This show featured exclusively pieces that had been made by hand. We utilized pearly colors, and added extreme neon pops. An installation piece designed by Aubrey was a life-size representation of The Birth of Venus and acted as a back-drop for photographs. Collage art by Nora swam across the walls and created an awe inspiring unique pattern across the walls. Clothing created by Melissa Johnson filled the rack with their cutting edge sea-punk aesthetic.